So sharp! Inspired by crisp, starched shirts, this well-dressed stationery is anchored by a signet cuff link. 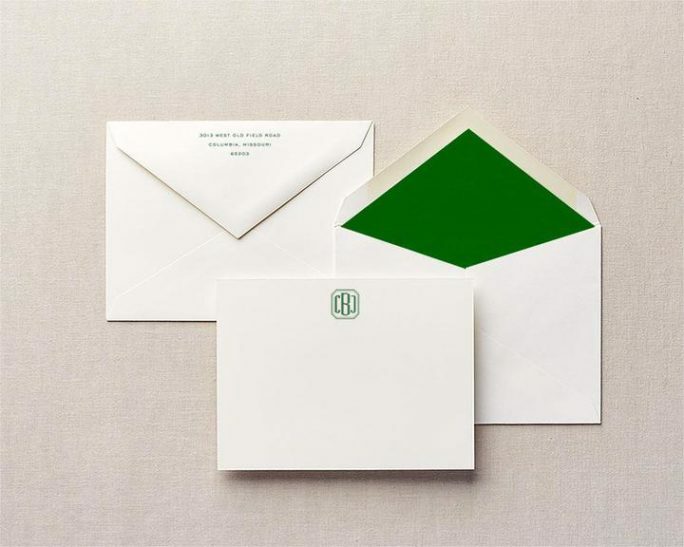 Optional Add-On: Envelope liners in green tissue.